Underglass Custom Picture Framing is one of San Francisco's oldest framing shop - Underglass was established in 1982! We are here for your framing projects with two locations. Whether you have a family photo, an exquisite piece of art, your favorite's team jersey, a sentimental little piece you would like to have framed or if you are a gallerist, artist or interior designer - we have the right framing solution for you. Our experienced framers and artistic designers are here to help you make the perfect decisions because we care for you and your art. To see examples of what we can do please check out our instagram, it is updated almost daily with new exciting frames we just finished, see hundreds of custom frames and picture frames and a lot of the original art framing we did right on our instagram gallery. Because we have been around for over 30 years we do believe in our City of San Francisco, it's unique people and community. We have a long standing tradition of giving back and are proud to be part of this community. We committed to donating hundreds of picture frames to local organizations, school projects and not-for-profit events. Custom Picture Framing allows us to be a part of our neighbors, our community and our artists - as your place for custom framing San Francisco, we are truly grateful for this. Custom Picture Framing has a long standing tradition and at Underglass we take pride in that. We still cut and join frames by hand. But we also love today's technology and its advantages. 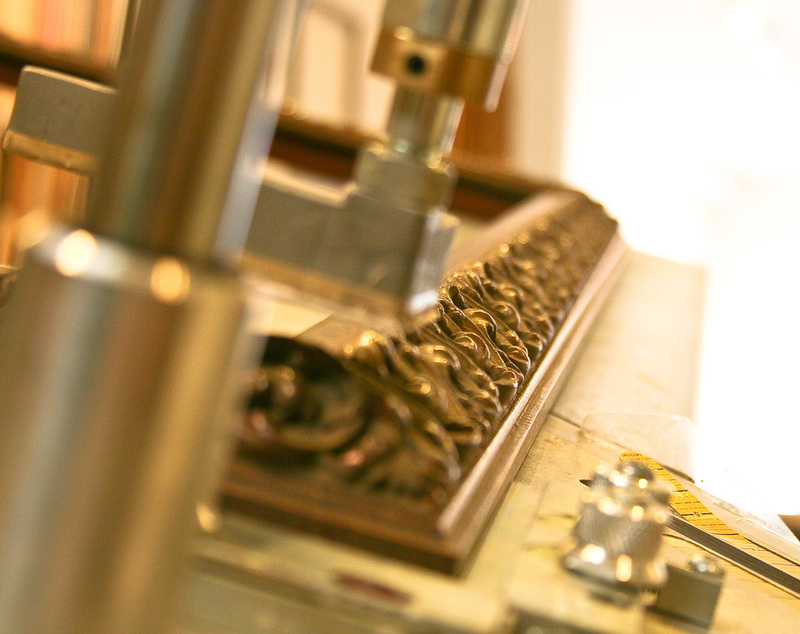 With computerized mat cutters and vaccuum mount presses we achieve cutting edge looks for your art. We combine traditional proven mounting techniques with today's research to preserve your art for generations to come. Underglass Custom Picture Framing understands customer service. We are framing for decades in San Francisco and people are coming back to us. We love seeing you bring in your art and trust us to frame it! And we love it even more to see your happy face when you pick up your framed piece. We get it, it is a very personal process and we are trying our best to show that we care for your art. Our satisfaction guarantee is probably the best you can get. Talk to the manager in the store and be assured you won't be disappointed. If there is anything you want us to do for you please don't be shy and ask for it. We will try to accommodate. Thank you.